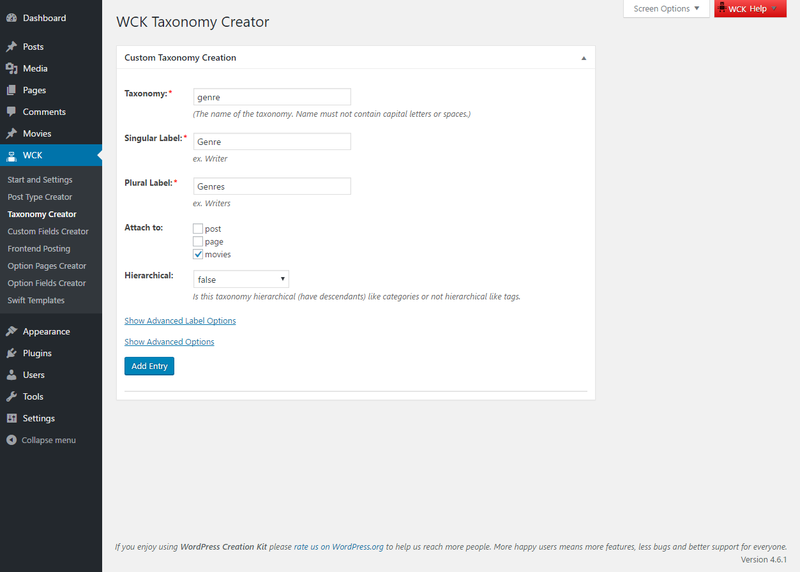 WordPress Creation Kit helps you create Custom Taxonomies and attach them to a Custom Post Type (Post or Page) as well as build your Taxonomy Single Template with no coding, directly from the WordPress admin UI. 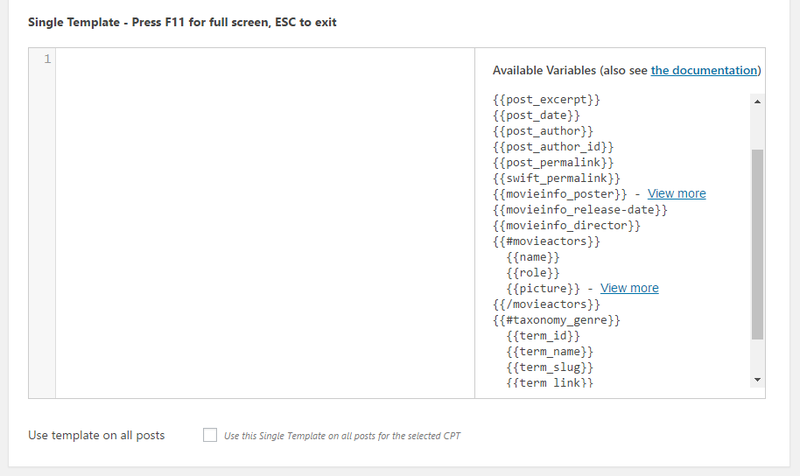 Inside each Movie Single Template we want to display certain Custom Fields information attached to the Movies Custom Post Type. Swift Templates allows you to build a Taxonomy Single Template with no coding using an intuitive UI. We’ll go ahead and create a new Swift Template by clicking “Add New” in the Swift Templates interface. 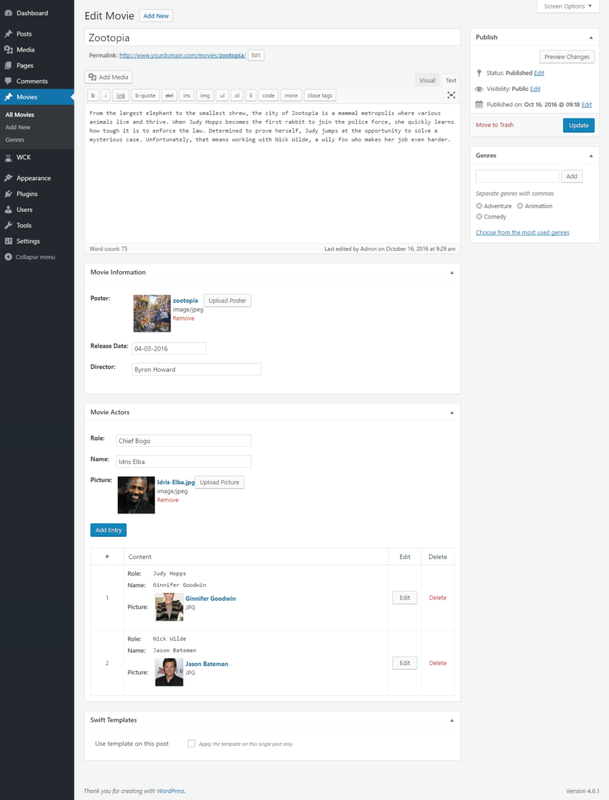 Then we can select the Custom Post Type that our Single and Archive Pages will be based on. Go ahead and select “Movies”. Moving forward we get to the Swift Templates tab where we start to build the actual Taxonomy Single and Archive Templates. 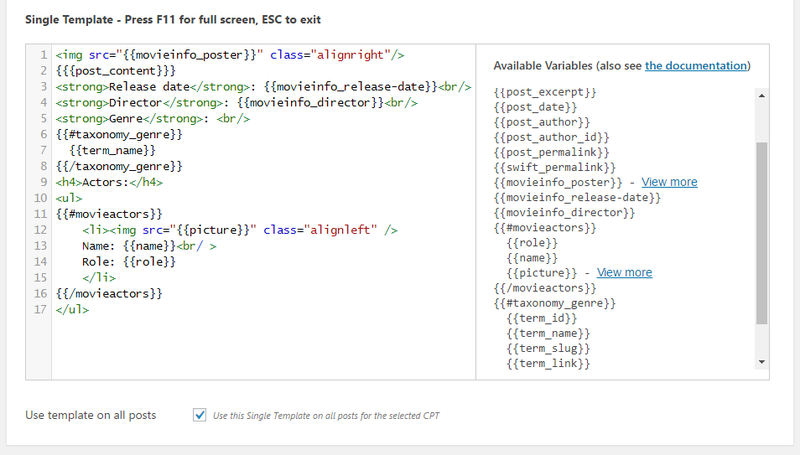 In the right side you will see a list of all the available variables for the selected Custom Post Type Movies. 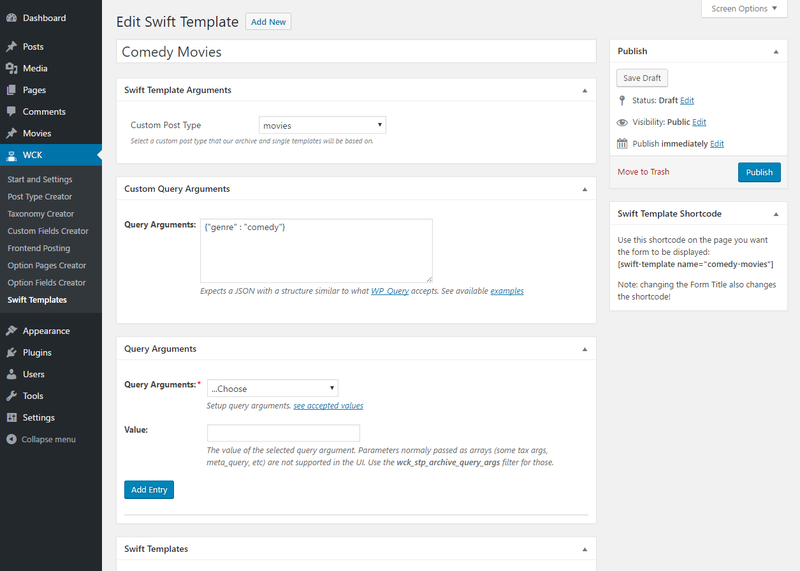 We can start building the Comedy Taxonomy Single Template by selecting the variables we need and adding them to the left side editor. 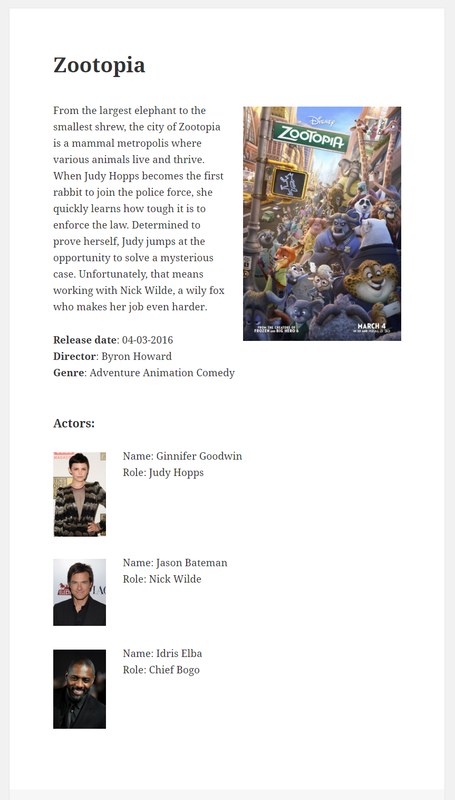 We want the listing to contain the Movie Title, Description, Genre, Movie Information and All Movie Actors information. And we can also add a little bit of HTML for a basic layout. Then Update the newly created Swift Template and you’re all set.